Cameron Dirt Works work crews adapt quickly to working alongside other crews and are accustomed to meeting strict deadlines while staying on budget. Each project we undertake in Tacoma is managed by a skilled onsite supervisor. The Cameron Dirt Works excavation crew is highly trained and regularly updated on applying the strictest of safety standards according to Tacoma codes. Your job site and property are always protected regardless of the size of your project. With an increased demand for skilled excavation in Tacoma, Cameron Dirt Works provides a full range of services that meet any residential or commercial excavation requirement. Cameron Dirt Works provides first rate, customer oriented services and understands the high standard of quality that developers and homeowners are looking for. 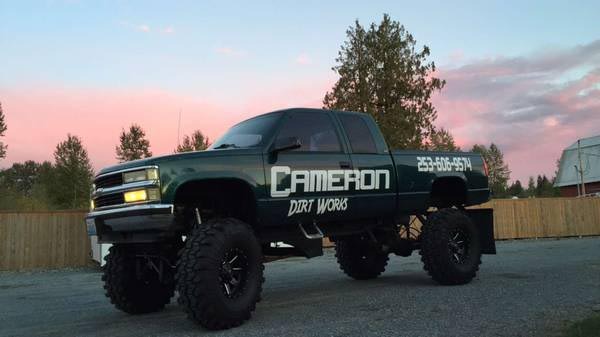 Why choose Cameron Dirt Works? Serving the excavation needs of Tacoma for many years, we pride ourselves on going the extra mile for clients by placing an emphasis on superior customer service. For an estimate on any excavation services, contact a Cameron Dirt Works representative at (253) 606-9574 to find the answers to any questions you may have.